Sip, relax and enjoy some of the greatest music ever written. 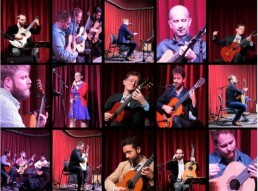 After 8 years, Austin Classical Guitar is wishing a fond farewell to the Classical Cactus Series. We’ve had so much fun here and have big plans brewing for the future. In the meantime, join our staff and friends for a great big sendoff and hug for the Classical Cactus!